Create an excited buzz at your event with our range of events massage and mobile beauty treatments. We can come to virtually any location, indoor or out, perfect for an enhanced visitor experience, as a promotional tool for your stand or simply to pamper your guests. Our mobile massage therapists will bring everything that’s needed to create the perfect chill out zone and a lasting impression. Our professional mobile massage therapists give a rejuvenating back, neck and shoulder massage on a specially designed massage chair. Enhance performance and help speed up recovery after exercise. Make a difference and book sports massage at your event today. 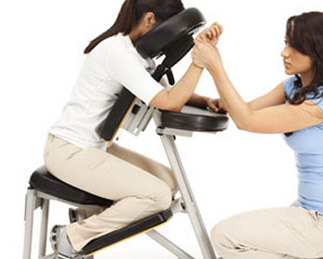 Create the wow factor with mobile Indian head massage at your event. 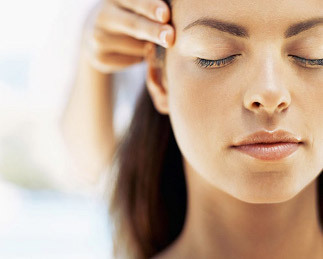 Rejuvenate guests with our wonderful head, neck and shoulder massage. 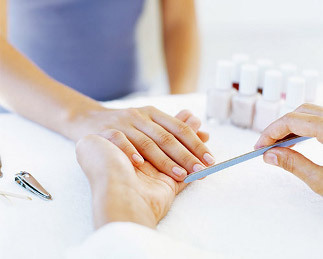 Treat your guests to a pampering nail treatment with our mobile nail technicians. Ideal for corporate hospitality events and parties. A quick and easy way to impress your guests. 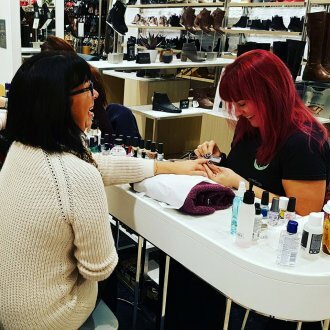 Hand massages and foot massage are great for conferences and beauty product launches. Restore balance to body and mind with reflexology at events. Mobile reclining chairs make reflexology ideal for exhibitions and corporate events.